Netflix’s latest conflagration-starting series Dear White People is a show focused on black life that comes after the successes of the Emmy Award-winning sitcom Atlanta, the Best Picture-winning drama Moonlight, and adored HBO series Insecure, which returns for a second season this July. 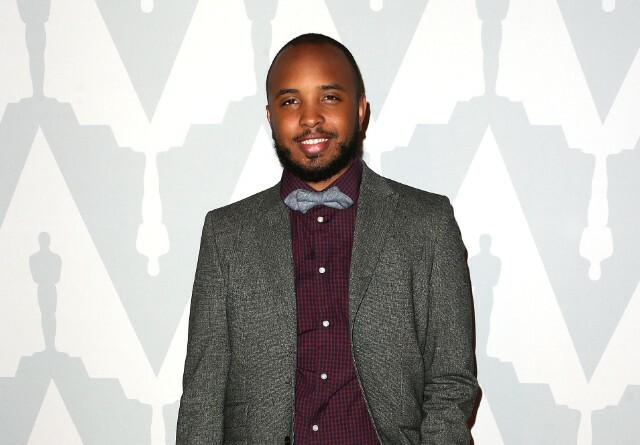 In retrospect Justin Simien’s Dear White People’s 2014 film incarnation—which examines the myth of post-racialism through the lens of a fictional Ivy League university—debuted at just the right time, becoming a representation of rising black consciousness following the fresh wounds of Trayvon Martin and Michael Brown’s murders as well a warning of things to come. In the following three years, Black Lives Matter would become a widespread movement as law enforcement’s war on black bodies continued and open white supremacists were given airtime. Post-racialism had imploded. The series Dear White People spends its first few episodes exhuming some of the film’s major plot points, but it doesn’t take too much time to prove it’s not just a reiteration. The new edition pivots toward the fraught dynamics of black expression in college. It’s not just represented in the context of white privilege, but also as a microcosm of voices with their own nuances and perspectives. The relationships are tied to the question of purpose that afflicts many black and woke college students: What is my voice and does it matter within systems opposed to it? The Ivy League setting and the core characters remain unchanged, but Dear White People’s serial version features a mostly new cast, the help of showrunner Yvette Lee Bowser (A Different World), and a cadre of directorial talent—including Moonlight director Barry Jenkins, who helms the excellent fifth episode (and I’m not just saying that because it features Future’s “Trap Niggas” as part of a larger plot point). Before its Netflix debut tomorrow, we spoke to Simien to break down Dear White People, then and now. Did you predict a more diverse film and TV landscape coming when you made the film Dear White People in 2014? I think the original movie felt like more of an outlier in 2014 than it would now. I think part of it, too, is when the movie came out, we were sort of on that cusp, “Is racism still a problem?” A lot of white people honestly just weren’t that aware. There were people who were seeing what was going on with these police shootings, but you know, it was still a very localized understanding of how pervasive racism was. Since the election, I think there’s a clear connection between racism and the destabilization of global politics. We get how American racism can now affect the globe. Now, a lot of people are just more awake, more aware, of how deep and pervasive this issue is. So in a lot of ways, people are just primed for the conversation that the show wants to bring about more so than when the movie came out. What are some of the freedoms that a TV show has allowed you? For me it’s just, I have too many ideas, man. It’s a problem actually. With a TV show, what’s great is that you just have more time. We don’t even really get into the stuff we really wanted to say in the first place, but you just have more time to develop the characters and the ideas. And for me it felt great, because I love building a world, getting into the depths and under the fingernails of characters. I see Black Lives Matter gets a name drop here. What else from the past three years have you tried to incorporate? Number one, the culture that we’re in now is more represented here. I think one of the things that bummed people out about the movie is that we didn’t really get into activism. Activism sort of existed in the environment of the movie, but the movie is much more a character journey. It’s called Dear White People, but really it’s about these black characters and how they are involved or not involved in a racial scandal in ways that might surprise them and others, right? I think when I wrote the film, there wasn’t Black Lives Matter, you know? You could barely even admit that racism existed when I wrote the movie. So, now, by the time the movie came out, all of this stuff was starting to pop off, but now that it’s been happening, I think the movie the show is able to integrate a lot of those ideas better, for sure. College seems like a solid source point for that focus. It’s hard because you’re trying to figure out who you are, but you have to deal with what you are. And college is very political— it’s always been, but it’s very political right now. What you believe in is of paramount importance in college, so I think a lot of kids are grappling with this. And honestly I think a lot of people are grappling with this. The show, it’s about college kids, but it’s really about all of us. It’s a microcosm, but it’s about America. It’s about anybody that’s out here trying to achieve something in a society that isn’t really set up for them. How has the show shifted away from looking at post-racialism? I think we are aware that post-racialism isn’t real, right? I mean, I hope so. I kind of joke that we’re post-post-racial. We are in this era of fake news and in a post-fact world. Honestly, the definition of racism, I think people have forgotten what it actually is. A lot of my issues right now, are that people are confusing racism and prejudice and bigotry. They’re three terrible things, but they’re different things. Racism is systemic: It’s oppression that’s built into the laws, legislation, into the way neighborhoods are policed, and into job opportunities and health care and education. Are you trying to frame Dear White People’s voice differently with the proliferation of other black voices in media? I’ll say that I think it’s good that there’s a lot of us, and that we don’t agree.I think that’s ultimately a good thing, that we’re focusing on different aspects. The thing that’s obvious about white people is that they’re people. So when you watch a show like Big Little Lies, you identify with the white characters. It’s understood that the white characters represent all of us, and there’s nothing novel about the fact that it’s mostly white characters. We’re still in this era when it’s a show with black people, it’s still a black show, and it still comes with these expectations that it’s supposed to define blackness. But, what I think is cool is when you have multiple shows on at the same time, and they’re all dealing with wildly different ideas and issues, but they all have black characters in them. I think what that says to people is, “Oh, Black people are human beings.” Like, we’re not just a set of issues or cultural norms. We’re human beings like anybody you can see yourself in us, just as we see ourselves. And so, I love the fact that you have multiple shows about young black people that couldn’t be more different. You don’t see the same characters in Insecure that you see in Atlanta, or that you see in my show. What that subtly says that we’re human, we’re not just this one thing called “Black People.” We’re a lot of things, as well as black. Even with the whole Tyler Perry thing it’s great. I think that the fact that The Have and The Have Nots and Scandal and Atlanta and all of these shows are on at the same time is good. Yes—that’s the thing. You can oppress a person as long as you can’t see them as a person. And when people start to understand that we are human beings, we’re not just an idea, you know, to the left, that you never have to deal with, it helps on some level. It helps for people to see our humanity. You just look at the difference between the crack epidemic or the AIDS epidemic compared to the opioid epidemic, you can see it right there—how willing people are to see black people or gay people or marginalized people as fully fleshed out human beings.